Photo below from a 1940 Erie County Bar Association membership photo collage and used in the obituary. Frank A. [Anderson] Bliley, eighty, a retired attorney and father of F. Dawson Bliley, president of the Bliley Manufacturing Company, died suddenly of a heart ailment shortly before 7 A.M. Thursday [February 14, 1946] in his residence, 649 W. 9th St.
Mr. Bliley was one of the oldest members of the Erie County Bar Association, and had served at one time  as its president. The deceased was born on a farm in Harborcreek Township, Erie County, near Wesleyville, on March 13, 1865, a son of the late Charles and Mary Jane Mead Bliley. Having acquired his early education in the public schools of his native township, he completed courses of study at the institutions now known as the Ohio Northern University  and Edinboro State Teachers College. The lure of pioneering days in the west attracted him to Colorado, where he engaged in prospecting in a mining camp on the western slope of the Rocky Mountains. In 1897  he joined a company of volunteers [including older brother Alex], who together with the state militia, suppressed the Ute Indian war [with Nathan C. Meker, Indian Agent] at Meeker [White River, CO], a frontier settlement of the day. Returning to the east, he taught in the public schools of Pennsylvania and Ohio, and served as principal of the public schools at Albion. Pa., and in Erie City night schools. Taking up the study of law, he completed the required course [independent study with Judge John P. Vincent] and was admitted to the Bar of Erie County in 1891. He was later admitted to the bar of other counties in Pennsylvania, and also to the Superior, Supreme and United States Courts. For' more than fifty years, he was engaged exclusively in the practice of his [law] profession. Since 1889 he was a member of St. Paul's Episcopal church, now the Cathedral, and had been one of the vestrymen and its delegates to church conventions. He was also a member of the Perry Lodge, of which he was a past master by service [of the Blue and Perry Lodges], the Temple chapter, and the Mount Olivet Commandery. Among the earliest forebears in America, William Mead came from England and settled in Connecticut in 1635. His direct descendant, Darius Mead, and the latter's son, also named Darius, who was the great-grandfather of Frank Bliley, both served in the American revolution. The former, a pioneer in the settlement of northwestern Pennsylvania, was killed by Indians near Meadville, named after the Meads, in 1791. The latter, also one of the first settlers, died In 1813, from diseases contracted while serving in the War of 1812. 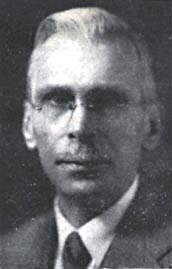 Mr. Bliley, husband of the late Lula [Lula] E. Dawson Bliley, who preceded him in death March 16, 1945, is survived by his son, a daughter, Mrs. G. M. (Josephine) Oldham, of Cheswick, Pa.; and four grandchildren. Friends are invited to call at the late residence, 649 W. 9th St.. Friday and on Saturday until noon. Private services will be held there at 2 p. m., Saturday, with Dean Francis B. Blodgett in charge. Interment will be in Erie cemetery. PHOTO CAPTION: SUCCUMBS: Frank A. Bliley. retired attorney, died suddenly of a heart aliment early Thursday morning in his residence, 649 W. 9th St. Mr. Bliley, father of F. Dawson Bliley, president of the Bliley Manufacturing Company, was eighty.